Due to last night’s primetime Supreme Court announcement, the early ratings for NBC, ABC, FOX and CBS are likely to be adjusted, so we’ll hold our look at their numbers for finals this afternoon. 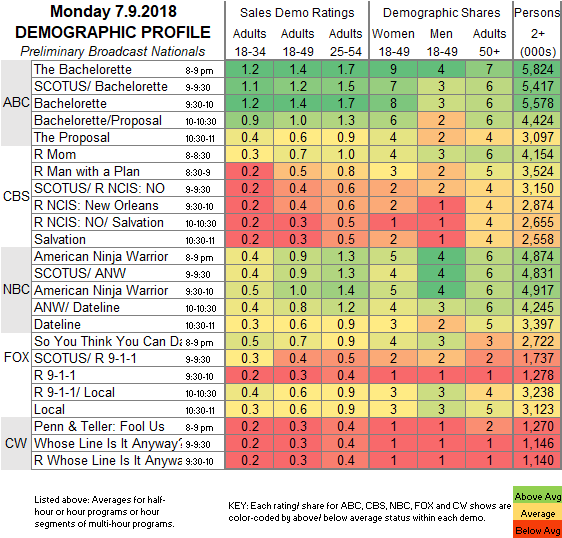 Ratings analysis and comparisons follow the chart. CW: PENN & TELLER: FOOL US, and both the new and rerun episodes of WHOSE LINE IS IT ANYWAY were steady at 0.3. CW launches its summer scripted series THE OUTPOST tonight. 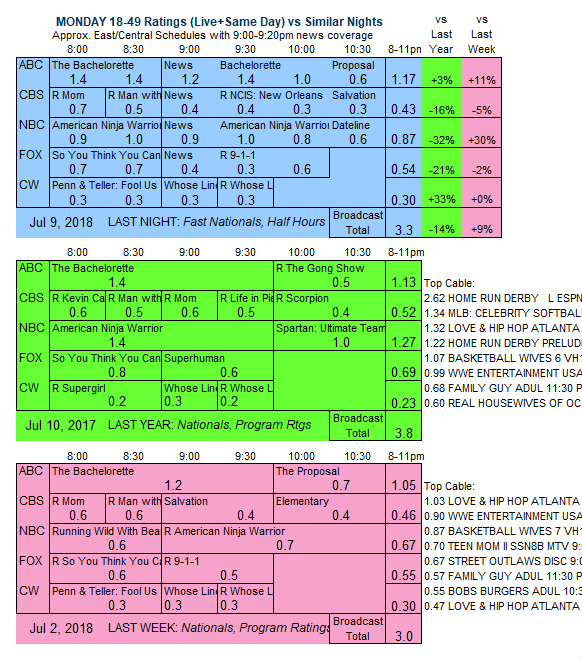 COMPARISONS TO SIMILAR NIGHTS: Preliminary adult 18-49 ratings versus the same night last year and same night last week. CABLE RATINGS: Come back this afternoon for detailed demographic ratings for top cable programs from this day.